Before the Lisbon Treaty, I had no interest in being an MP. That Treaty was introduced to sidestep democratic rejection of the near-identical EU Constitution: I saw democracy dying at the hands of fanatical advocates of European political integration. Previously, I thought it was enough to vote Conservative and get on with life. The Lisbon Treaty was the final straw. You can find my posts about it dating back to November 2007 here. All my posts on the EU may be found here. I was pro-EU throughout the years prior to 2007 and I am still pro-European. I believe in voluntary economic and social integration — that’s the way to peace and prosperity — but political intervention always creates conflict and political integration is unacceptable without democratic consent. Without a public mandate, forced political institutions are dangerous and illegitimate. That’s why I want a referendum and that’s why I oppose the EU: as I explained here, it’s a counterproductive institution. 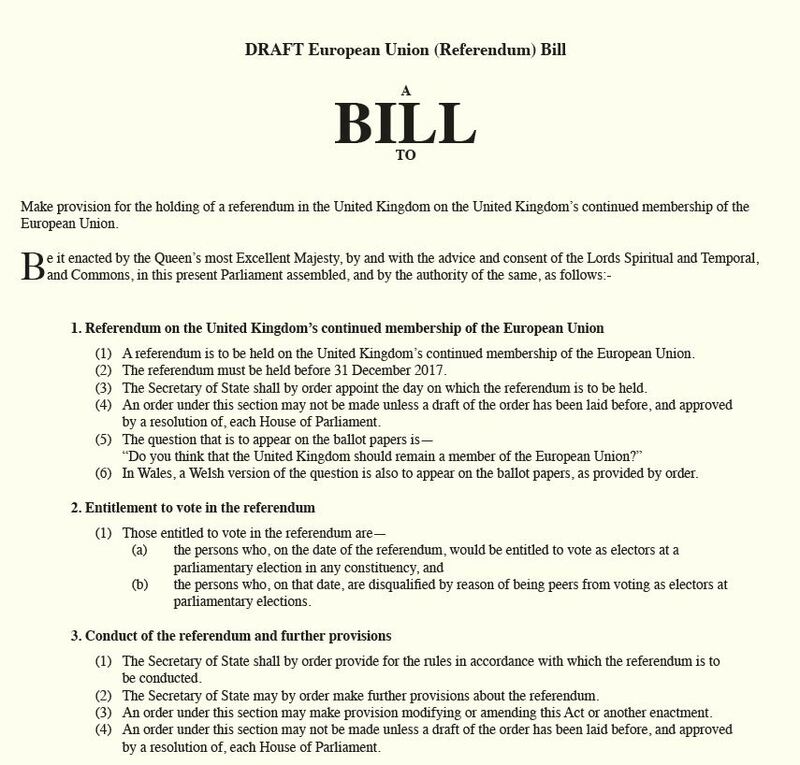 We’ve set out our position and published this Bill to give the British people an In-Out referendum on Europe. 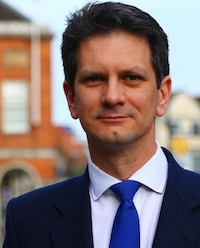 Now it’s vital to hear whether Labour and the other parties are actually prepared to trust the British public to decide our future relationship with Europe. David Cameron has said if he is Prime Minister, there will be an In-Out referendum in the next Parliament and that in this Parliament, we will look at all options to underline the fact that our commitment to the referendum is absolute. 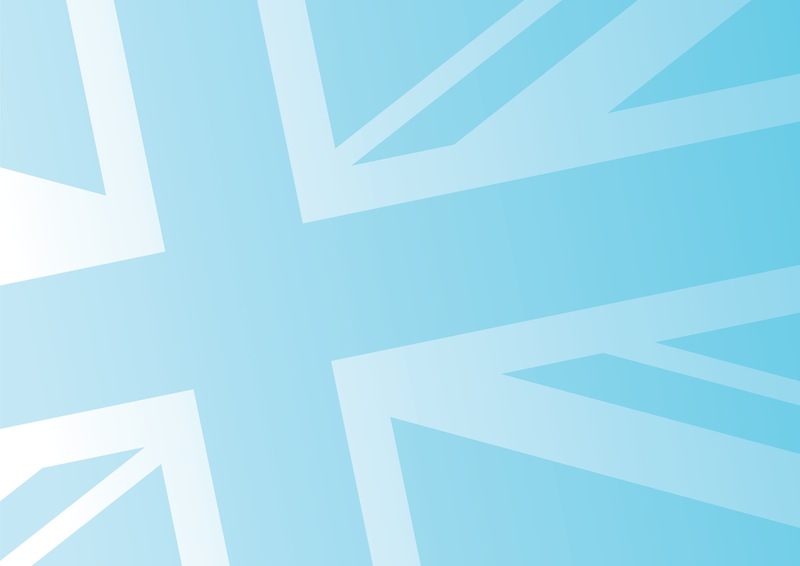 The Prime Minister has made it clear that he would pursue a renegotiation strategy prior to the referendum. The referendum would be for membership on new terms or exit. Debate will rage. One thing is certain: everyone who wants a referendum on our membership of the European Union should vote Conservative. I look forward to supporting James Wharton MP and my Party in progressing this Bill. It speaks only about the holding of a referendum. It says nothing about the outcome: for example whether the result is to be determined by a simple majority. More importantly it does not mention whether the Government will be bound by the result, if it’s “Yes”. Can you please as my MP obtain some clarification on these vital points? 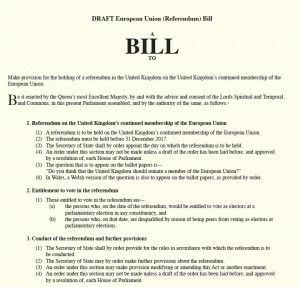 For comparison, the AV referendum act http://www.legislation.gov.uk/ukpga/2011/1/section/8/enacted describes the Government’s commitment to act in the event of a yes vote. One wouldn’t expect detailed plans and timescales for getting out of Europe. But one would expect that the Government agrees to be bound by the result. Yes. I fully expect this Bill to be subjected to the closest scrutiny. Not good enough! We want one at the same time as the EU – MEP election. Those voted in can start the Article 50 process off and sort out our exit. Both Merkel and Barroso have said they will avoid a treaty change at all costs. They even give the reason as “unwanted referendum being called throughout Europe”. You will not win the next election, especially with Cameron at the helm. Pick someone who is genuinely Eurosceptic and above all, HONEST ABOUT IT.